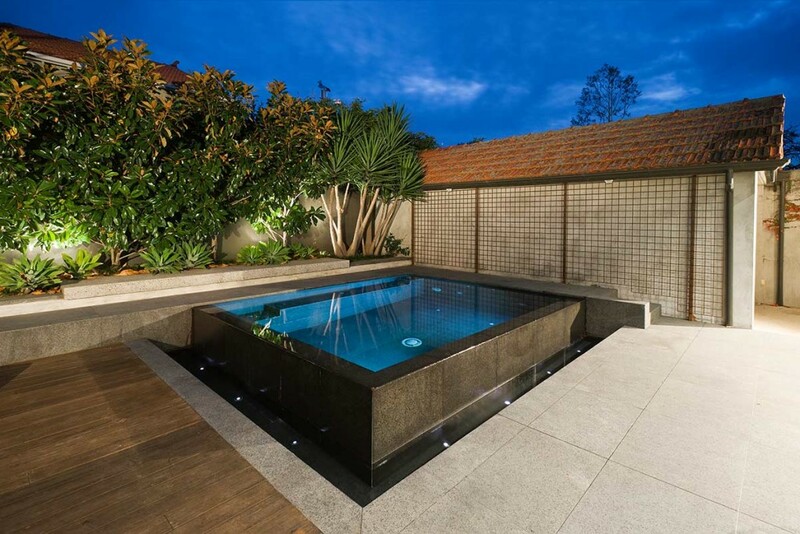 Designed by Andrew McNamara this project features a negative edge pool clad in granite paving. 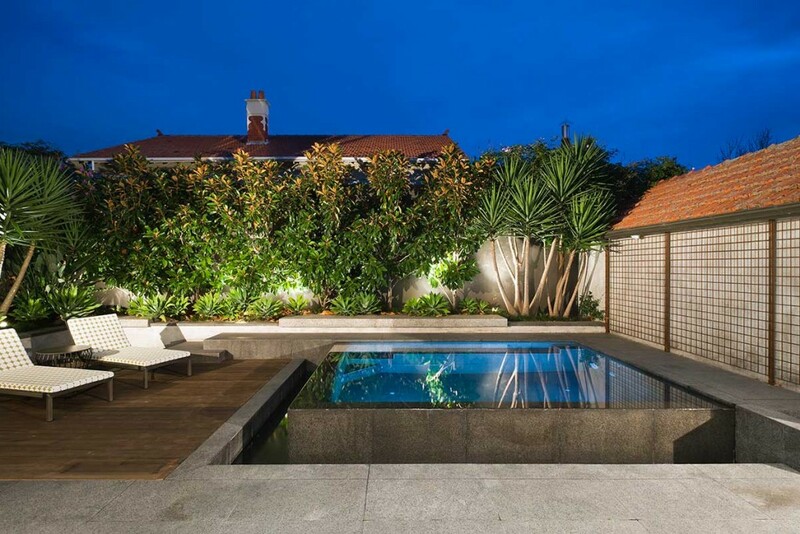 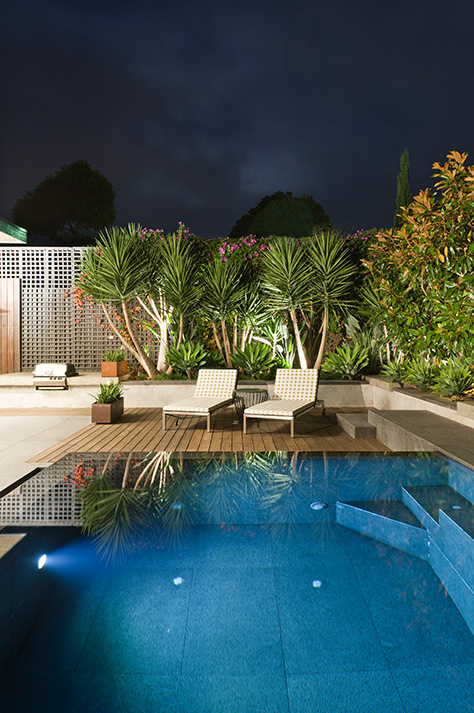 Adjacent to the pool and concealed by the spotted gum deck is an underground 15,000 litre water tank. 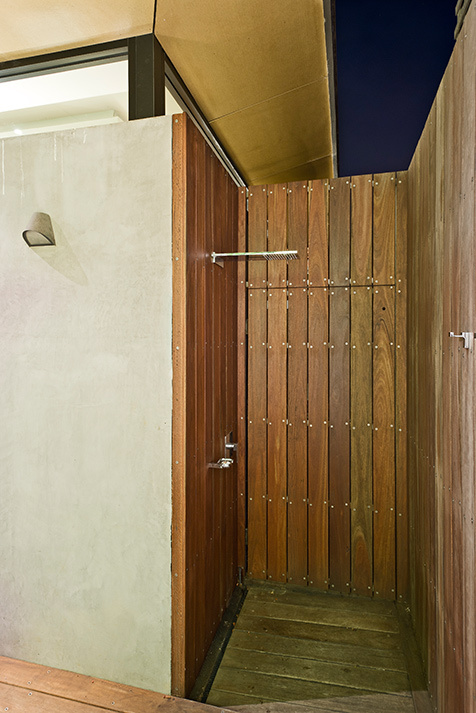 The decking continues around the corner of the house and into the outdoor shower. 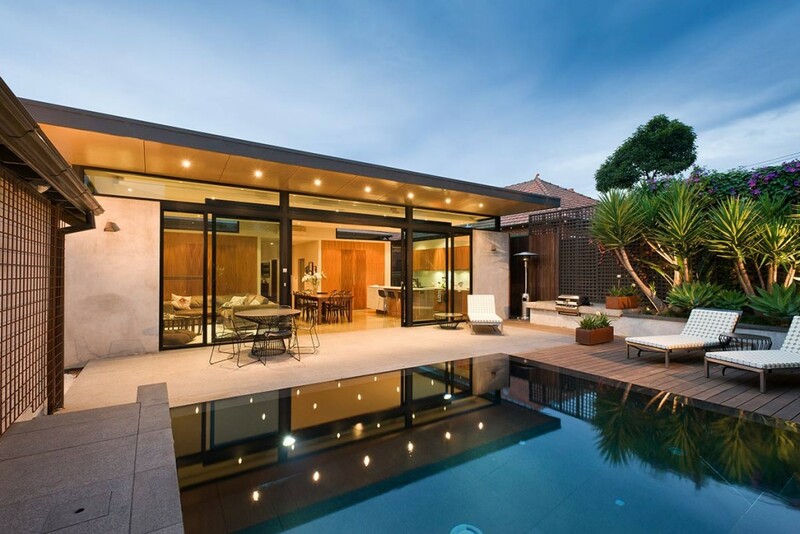 Concealed behind the shower is the pool equipment area which houses the automated filtration system & in-floor cleaning system, solar and gas heating.